Suitable for areas of low water flow and areas that do not require a foul air trap. And also suitable for balconies, bathrooms and kitchens. Models are available to meet individual needs. Manufactured in Stainless Steel AISI 304/316 Grades. 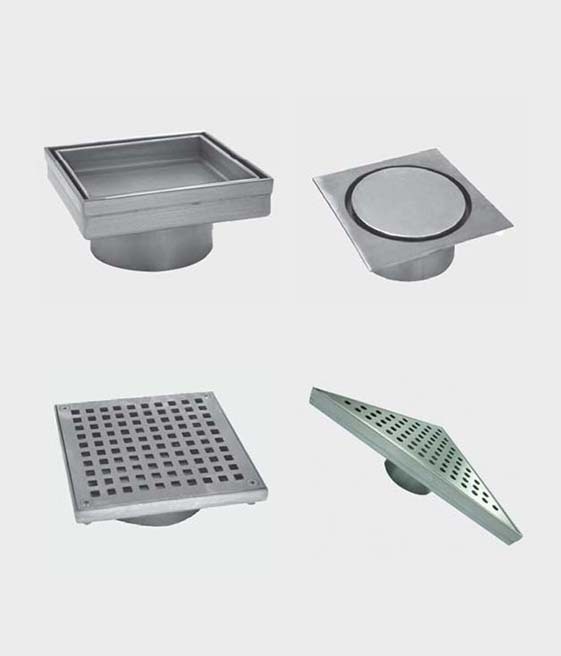 Floor Drains are generally used in areas like kitchens, wash rooms, laundries, refrigerator areas, locker rooms and swimming pool areas. These are available in different sizes and designs to suit various applications.